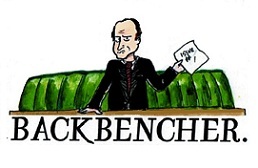 The Backbencher – Conservatives care about marriage. Libertarians should too. Conservatives care about marriage. Libertarians should too. A resentment for the state has made conservatives and libertarians bed fellows. It’s an uncomfortable relationship; a marriage of convenience. They can both bang on about cutting faster and deeper, debate, or wait at least, for ‘tantric’ referendums over the EU, and sometimes conservatives even forget who they are, and call themselves libertarians too. I’m looking at you, Farage. But marriage has always been seen as a conservative issue. It’s always uncomfortable. Libertarian’s try to leave the room. At least before it all ends in divorce. Many libertarians will tell you that the state has no business being in marriage. Conservatives will tell you the state has every business being involved. But it’s not, and shouldn’t be, black and white. When it comes to children, libertarian’s choke on their cereal. Who owns children? How is a child defined? What individual rights do children have, if any? Should children receive state funded education? It’s all a bit awkward. This is why libertarians and conservatives should agree on marriage. Considering parents choose to bring their children into the world, they are the best people to decide how their child should be brought up, within reason. Indeed, marriage is the best mechanism to ensure that both parents take responsibility. The abject failure of the care system shows that the parents themselves should step up, because when the state takes ownership, catastrophe follows. I’ve heard the argument time and time again from libertarians that that there are great parents who aren’t married, and incentivising marriage won’t improve children’s lives. Surely, marriage is an outdated, religious institution that the state should keep away from? The reality of the situation, however, is that 27% of couples that were cohabiting when their child was born have separated by the time the child is aged 5, compared with 9% of married couples. ** The formal entry and exit of marriage, public expression of unity and horizons, helps provide a more hospitable environment to long term relationships. The benefit is that children are given a more structured upbringing. Greater dialogue between parents in marriages means children have a less obfuscated picture of morality. In stepfamilies, with four parental actors, it can difficult to sustain consistency. More difficult to define acceptable behaviour. If the state should be involved in children’s lives, perhaps the best role it could provide is to support the institution of marriage, for heterosexual and homosexual couples and parents alike. To Mr Clegg, £3 a week may not be the reason he got married, but to lots of people an extra £150 a year could make all the difference.